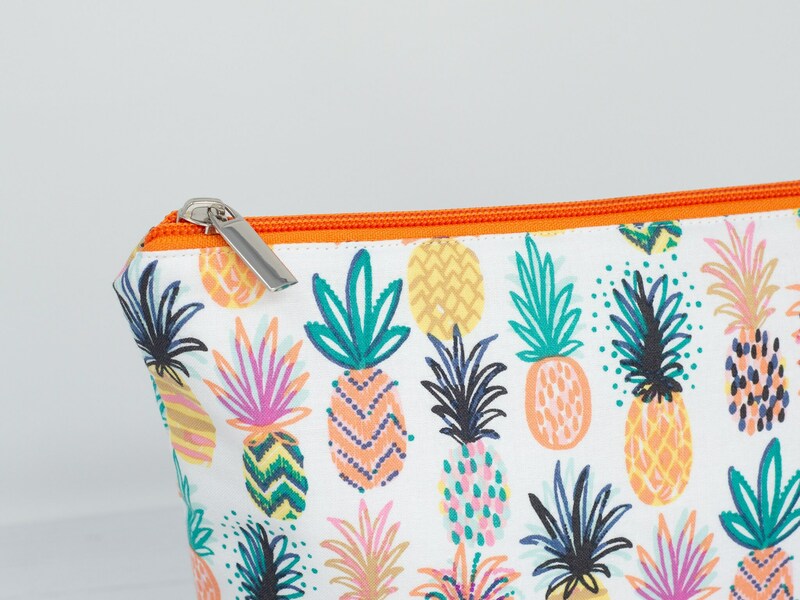 The wash bag is made from high quality cotton fabric featuring colourful pineapples. Each bag is fully lined in a white high quality waterproof and durable PUL fabric which can be easily wiped clean and padded to give it a little shape. Finished with chunky orange zip closure to keep all your items nice and secure. 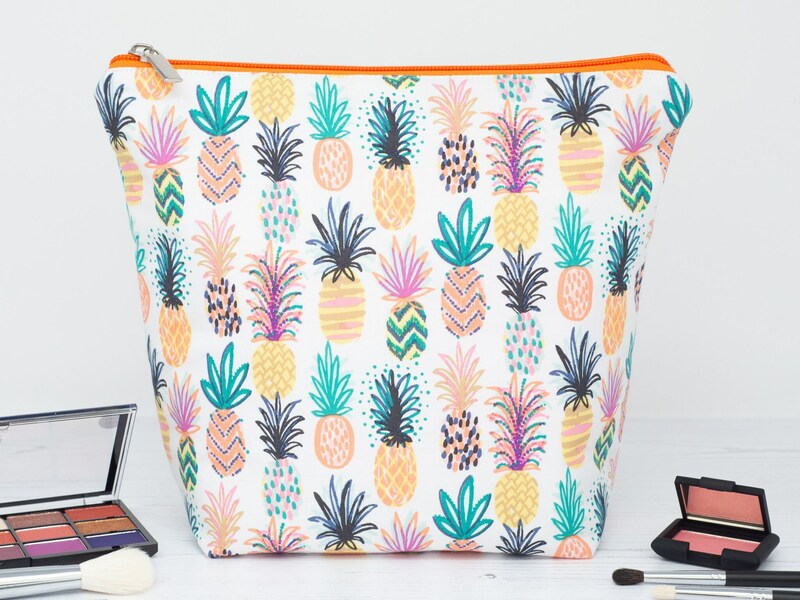 This bag is great for my makeup. The lining is perfect and wipe able. Love the pineapple print!